Terrific voices sailing through exhilarating coloratura present the aural equivalent of the most effervescent champagne. 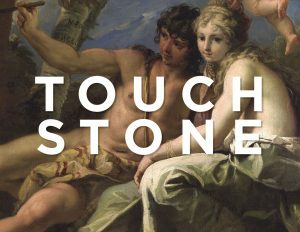 We experience these thrilling vocal acrobatics everywhere in the operas of Gioachino Rossini, including his first masterpiece, The Touchstone (La pietra del paragone). Coloratura passages sung cleanly and accurately are impressive in themselves, but how much more so when those passages are used to reveal the essence of particular characters, as Rossini surely intended. True vocal virtuosity in comic opera was essentially a new idea at the time of Pietra. In Italy the whole genre was, in fact, decaying until Rossini singlehandedly revitalized it. He already had six operas under his belt when Pietra was introduced at La Scala in 1812. It was his first commission at that most prestigious of Italian theaters, quite an achievement for a 20-year-old. The success, which made him famous overnight, actually led authorities in Milan to arrange for the young genius’ exemption from military service! Rossini composed Pietra with the zest and technical effortlessness that became his trademark. His unique wit and rhythmic drive are already dazzling here, as is the assurance with which he sculpts individual vocal lines and the brilliant construction of his complex ensembles. Even at this early stage Rossini knew how to tailor roles to particular artists, including the central duo of Pietra’s premiere — Marietta Marcolini (Marchioness Clarice) and Filippo Galli (Count Asdrubale). We owe Marcolini special gratitude: Apparently she was able to draw La Scala’s attention to Rossini’s burgeoning talent, prompting the theater’s director to offer him Luigi Romanelli’s delightful libretto. Marcolini was the first great artist associated with Rossini to exemplify a vocal category audiences had seldom encountered in the post- castrato era: the heroic female coloratura contralto. The composer’s familiarity with the voice of Marcolini (creator of roles in two of his previous operas) enabled Rossini to shape Clarice’s music flawlessly and with palpable affection. Clarice embodies elements of two rather more celebrated Rossini heroines: the moxie of Isabella in L’Italiana in Algeri but also the gracious femininity of Angelina in La Cenerentola. Listen to Clarice’s entrance music during the charming scene in which Asdrubale echoes her from offstage. Her very first phrase presents vocal decorations that require both elegance and pinpoint control, projecting her stature as a composed, self-assured noblewoman. Most of the coloratura flourishes in the opening pages are marked “ad libitum”; Rossini lets the singer take her time with each little group of sextuplets to maximize their expressiveness. Clarice’s confidence is equaled by her impressive vocal range: Her first five minutes of music covers nearly two octaves, from low B to high A. That initial scene gives us the alternation between legato and coloratura — between vigor and warmth — with which Rossini colors all of Clarice’s music, ultimately creating a genuinely captivating heroine. As she proceeds through the opera, Clarice reinforces her trust in her own feelings with one dazzling burst of coloratura after another. It is in her solo scene with the male chorus late in Act II that this blend of assertiveness (remember that the character is masquerading as her soldier brother!) and beguiling femininity comes most memorably to the fore. The bracing coloratura concluding this episode should convey the message that Clarice is unstoppable — her love will triumph in the end. Clearly, Rossini intended Clarice’s virtuosity to be matched by that of Asdrubale. Doubtless that was no problem for Galli, subsequently Rossini’s choice to create many other coloratura- heavy leading roles. Amorous bass-baritones in other Rossini operas include the title characters of Il Turco in Italia and Maometto II, but Asdrubale is neither an exotic foreigner like the first nor a warrior sultan like the second. He’s simply a nobleman who most probably has been emotionally wounded by women in the past and now hesitates to believe in any woman’s fidelity. That he has already lost his heart to Clarice is obvious from the start — they are kindred spirits. In addition to repeating certain coloratura phrases of hers in their first scene, he also parallels her in boasting an imposingly wide range and an appealing combination of delicacy and forcefulness. In Asdrubale’s extended address to Clarice in Act II, the listener can delight in lovely sequences of descending sextuplets and turns, along with the vigor of the aria’s final pages. The florid element is less vital with other characters, although Donna Fulvia gets a bit in her brief Act II aria (sopranos sometimes crown it with excursions above high C, as if to emphasize this social climber’s overbearingly assertive nature). Passing frills decorate the tenor Giocondo’s ardent monologue in which he longs for Clarice — but nothing too flamboyant, in keeping with this poet’s innate refinement and restraint. Here Rossini was also surely responding to his first Giocondo, Claudio Bonoldi, basically a “baritenor” and not prone to stratospheric vocal flights. Pietra’s two baritones — Pacuvio, the tiresome poet (who climbs to high G in his very first phrase), and Macrobio, the unethical journalist — have occasional vocal decorations. Rossini enlivens his portrayals of these literary men through virtuosity of a different kind: “sibilati” (patter) passages, requiring stupendously precise, rapid-fire articulation. Those moments are altogether appropriate, given this duo’s generally exaggerated, over-the-top responses to any situation. Despite the individual vocal prowess on display, this is an ensemble work and its characterizations must cohere in performance. Pietra abounds in recitative, which means that characters should truly converse. Whether in those scenes or in the duets and ensembles, their interchanges can create a delectable sparkle. Yes, give-and-take tells the tale in Pietra, as it does in, say, the comedies of Oscar Wilde or Noël Coward, or in a film such as Gosford Park (like Pietra, a highly entertaining depiction of a house party). In other words, everyone’s character should emerge in detail and with real savoir faire. That, too, spells virtuosity in comic opera. When all the requirements are met onstage—matched, of course, by similar vitality and stylishness in the orchestra pit—Pietra takes its rightful place beside the other great Rossini comedies. Its arrival at Wolf Trap offers a real discovery for audiences and an occasion for rejoicing. Roger Pines, dramaturg at Lyric Opera of Chicago, writes regularly for major opera and recording companies, as well as for Opera News, Opera, and The Times (London). A panelist annually on the Metropolitan Opera broadcasts’ “Opera Quiz” since 2006, he has also been an adjudicator for the Met’s National Council Auditions for more than two decades.